It is our great desire to celebrate the generosity of the Lord here at RBC. 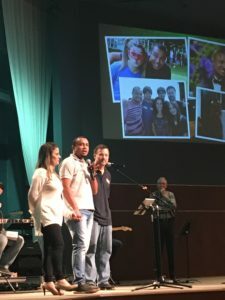 Over this past Spring Break, Family Life Pastor Mike Meyers led a team of eighteen RBCers – parents and children – to serve in an indigenous region of Brazil. Our U.S. team partnered with a team of Brazilians that included several RBC-supported missionaries working with Open Arms Worldwide. 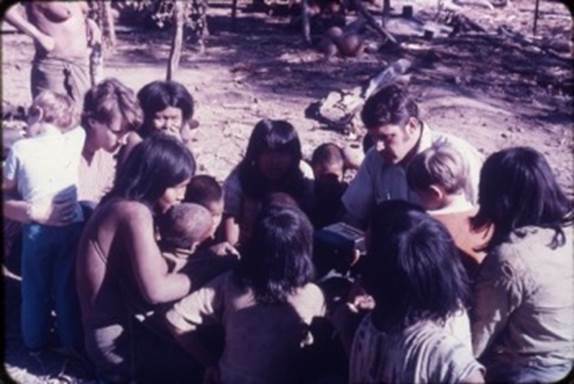 The teams partnered with a tribal church in the village of Limão Verde in order to serve families and reach children with the gospel of Jesus. Many of you gave and prayed in support of their efforts, and we just want you to know how thankful we are for your generosity. Here’s a quick look at their trip. Cambodia is one of the world’s poorest countries and heavily dependent on foreign aid. Years of war and genocide followed by a corrupt government has hindered the development of this country and kept most of the population poor. Thirty-eight percent of the population lives below the poverty line. After the Vietnam War, the Marxist Khmer Rouge was in command (1975), and Cambodia endured one of the most savage slaughters in the 20th century. Almost all former military personnel, civil servants, doctors, educated people and wealthy people and their families were killed, and the nation was turned into a vast labor camp. The Vietnamese army ousted the Khmer Rouge in 1979. Buddhism is the national religion. The Khmer Rouge sought to eradicate all religions and 90% of Buddhist monks and most all Christians perished. Since 1979 there have been periods of tolerance and since 1990 Christians have been allowed to worship openly but some limitations on mission activity has been legislated. The great sufferings of the people in the past cause them to now be open and responsive to the gospel. From only a few thousand Christians surviving into the 90’s, believers now make up 3.5% of the population. This growth is almost entirely through church planting and multiplication done by indigenous church planters and evangelists. Barnabas is one of these church planters and evangelists. As a native of Cambodia, Barnabas is one of only 200 Christians to survive the Killing Fields of Pol Pot. 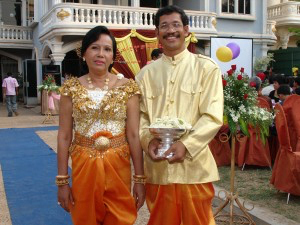 He joined Ambassadors for Christ International (AFCI) in 2001 to develop the ministry in Cambodia. Barnabas joined the Communist party as a teenager and was converted to Christ while spying on a Christian evangelistic meeting in the early 1970’s. He was later arrested and sent to the Killing Fields where he spent four years in captivity. After his release, Barnabas was forced to flee the country where he spent another eight years in a refugee camp in Thailand. After returning to Cambodia, Barnabas helped rebuild the church in his native land, and 500 churches have been planted since 1998. Barnabas’ faithfulness to the gospel is an amazing story of that Moody Publishers has published in the book Church Behind the Wire. Barnabas will be at RBC on Sunday, March 26, 2017 to share his story and encourage us in the area of missions. His book will be available for donation by cash or check only in the lobby after each service. All proceeds of the book sales will directly to Barnabas’s ministry in Cambodia. It’s a great way to start the year, indeed! 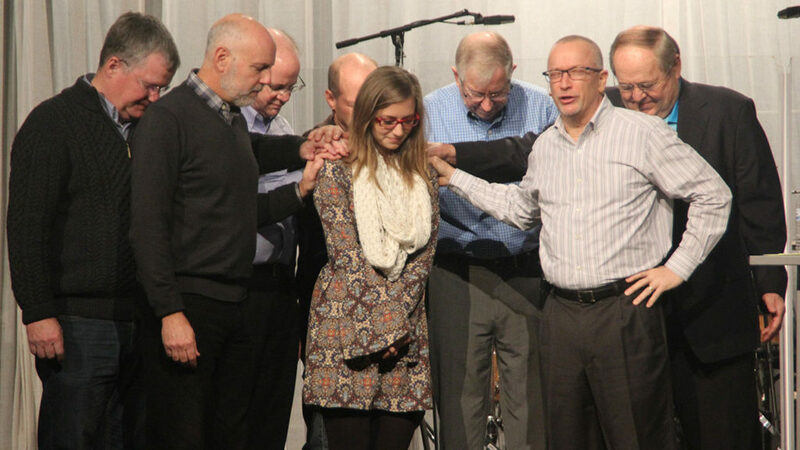 We praise the Lord the privilege of sending our very own, Louisa Schlener, to the mission field. As the early church sent Paul and Barnabas on their first missionary journey through prayer and the laying on of hands (Acts 13), so RBC has commissioned Louisa to take the Gospel to Portugal. Dear Lord – we continue to lift Louisa up to You. May You use her mightily in the Word of Life camps as she shares Your love to the many campers. As she reconnects with her childhood church, use her to impact and bring many women and girls into a deeper walk with You. Bless her and bless Your name as she cares for the other female Word of Life staffers arriving in Portugal. Protect her, give her much wisdom and continue to draw her closer and closer to You! Thank You for calling Louisa and allowing us the blessing of sending her. In the name of our Precious Savior, Amen! We recently received a couple letters from the ministry we support in Pignon, Haiti, and wanted to share them with you. 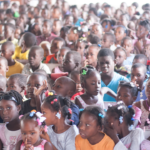 National pastor Francois Romelus runs a church of approximately 250 people in addition to the local elementary school and an orphanage where he cares for around 55 children. Over the past several years we have sent multiple teams to work with the ministry there and develop many deep relationships. On Sunday May 1st, Pastor Francois’ son Aldinn, who runs much of the ministry, shared briefly in our Sunday services. He also brought several letters that we wanted to share with you. 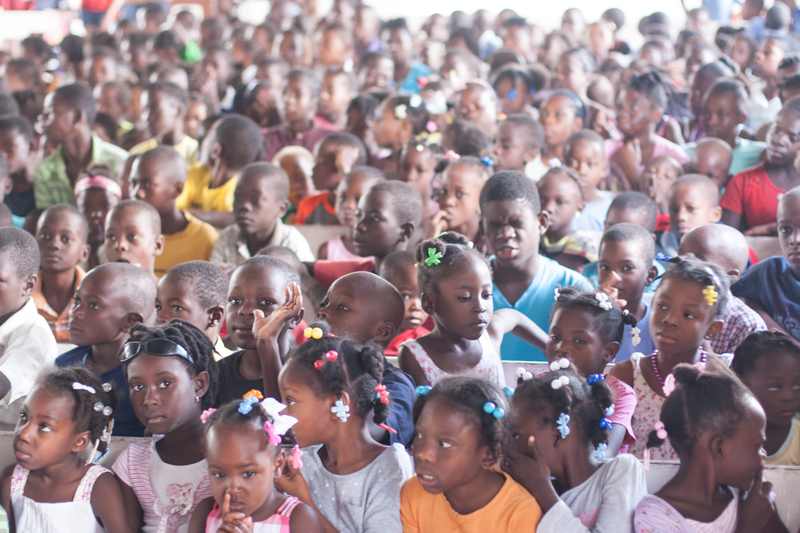 Please continue to pray for the ministry in Haiti as they face many challenges but rejoice in the hope of the Gospel. 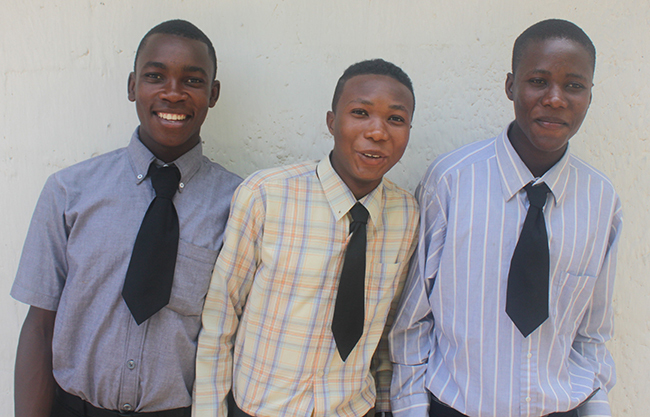 Son, Romane and Jerry are the 3 eldest boys at Pastor Francois’ orphanage. The letter below is from them to you. In most cases, we do not post the messages from Missions Emphasis weekends. This is to protect those currently working in sensitive areas, or who may at some point move into countries that are closed to the gospel. If you are interested in learning more about how you can be involved in missions at RBC, fill out this online interest form. Read and discuss the Great Commission text from Matthew 28. What do you note about Jesus? What commands, encouragements or warnings are there for us to heed? How is missions related to worship? What Scriptures can you find that demonstrate this? What does it mean that God is a “sending God”? What Scriptures can you find that demonstrate this? How is a missionary mindset inherent in the gospel of Jesus? What are different ways one can be involved in the work of gospel missions? How would you rate your involvement in missions? How might you grow in your involvement in missions? Spend some time in prayer for this. The last days of Jesus point us to His priority for missions. What was something in this message that was new or surprising to you? What is something you are passionate about? Why? How are passion and love related? Read and discuss the account of Jesus’ last days in Luke 24. What do you note about Jesus from this account? How does what He says here point us to missions? Thinking through Luke 24, what are some priorities of Jesus you can identify? What other scriptures show us Jesus’ priorities? How can you respond to the priorities of Jesus with passion and love? “Jesus does not relate to us according to what we deserve, but according to what we need.” How does this statement relate to missions? How does the gospel compel and propel us to a missionary mindset? How do you need to grow in this area? 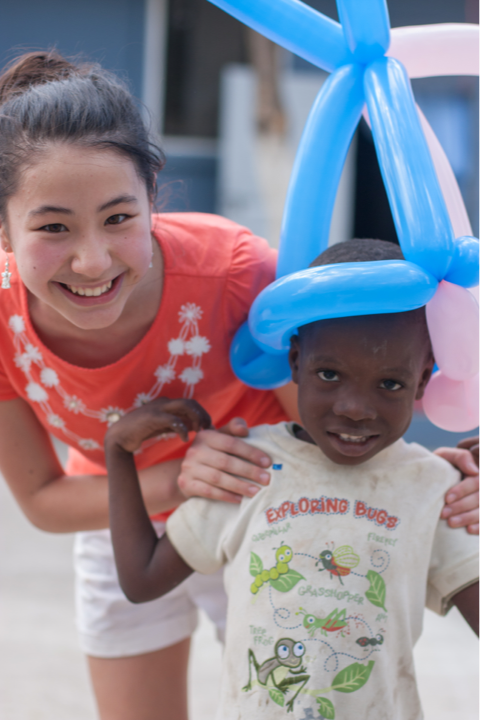 Pray for opportunities to engage personally in missions through giving, praying and/or going. 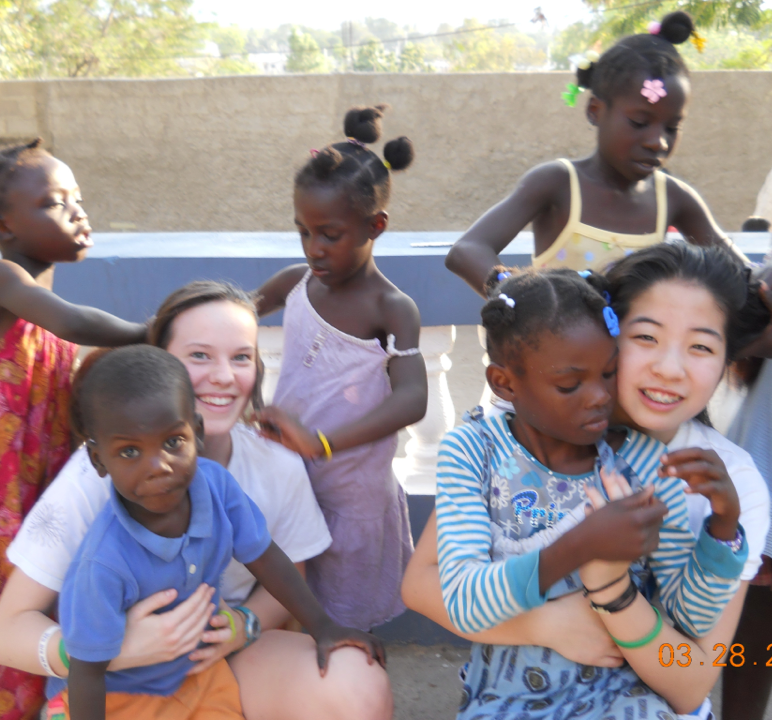 If your Shepherd Group hasn’t already, consider adopting an RBC missionary. During Sunday worship services, we want to spend less time making announcements and more time worshiping. To help facilitate that, we’ll show a brief video announcement segment 4-5 minutes before each service begins. Grab an early seat just before your service begins so you can take advantage of these pre-service announcements. We’ll also post them here on the Sunday Rewind each week. TEACHING: From the Field – How’s My Vision? We live in a world that knows the price of everything but the value of nothing. Do you see Christ as precious? God is a God of love, but He does not sit idly by and allow His love to take second place in our lives. Read and discuss Haggai 1:2-11 and 1 Corinthians 16:19-20. What do these verses tell us about us? What do they tell us about God? What warnings or commands are there for us to heed and obey? Have you ever felt stagnate in your walk with the Lord? What was the cause? What can we do to avoid spiritual stagnation? What does it mean to have “spiritual vision”? How can we develop spiritual vision? How much of your time, talent and treasure does God have? How can you grow in the grace of giving in each of these areas? How much of your life is driven by impatience, distraction, or discomfort? Considering that eternity is only a heartbeat away, what areas of your life do you need to “rebuild the temple”? How do you think God wants to use you to make a difference in the world around you? How does the gospel of Jesus enable and propel us to do this? Discuss how your small group can help you “rebuild” and spend some time in prayer for this. Give thanks to God for the grace that covers our sin and drives us to impact the world around us for His glory. Pray that He would help you see the eternal value of Jesus and be driven by Him instead of by impatience, distraction or discomfort. 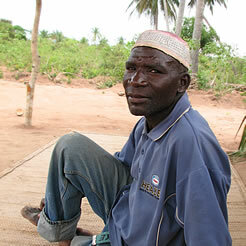 Sherife, a Mwinika believer who worked to translate the Bible to his native language. We recently received this update from New Tribes Mission regarding one of our supported missionaries working as a Bible translator in Zimbabwe. Sherife was more than just a Mwinika tribesman to Bible translator & RBC-supported missionary, P. He was a fellow believer, one of the first Mwinika Bible teachers, and a Bible translation helper. He was also a friend. And now P. sat by Sherife as he lay on his deathbed. P. remembered another time when Sherife lay critically ill in bed – before he was saved, before Bible teaching even began in the Mwinika village. But this time it was different. Sherife was a believer in Jesus. Still, it was hard to watch as tears filled Sherife’s eyes, spilling down his cheeks. “Let me translate my tears,” Sherife said to P. “I am crying because of my unsaved family members… I know where I am going, but I am worried about them. I didn’t know God until you came and told me about Him. Now I know Him. Now I am going to be with Him. Thank you for coming. Thank you beyond thanking. 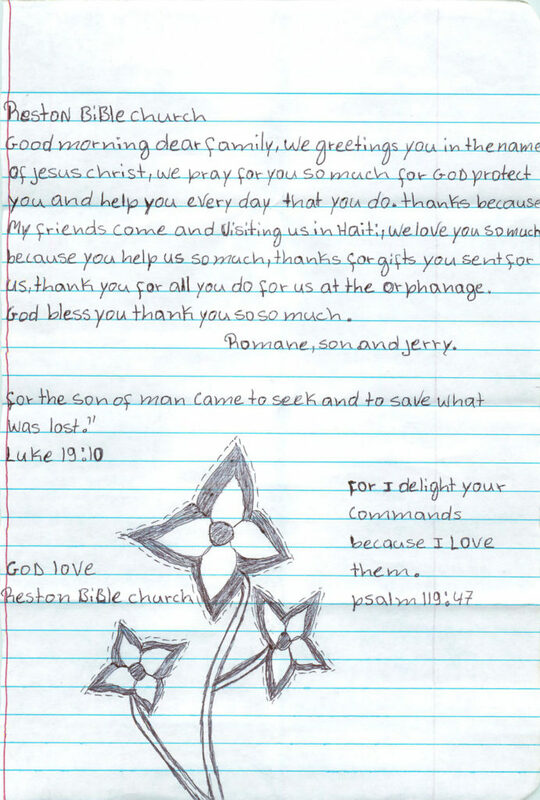 Thank you.” About a week later, Sherife was ushered into the presence of his Savior. Of greater importance to Sherife than “translating his tears” was translating God’s Word into the Mwinika language. He was one of several Bible translation helpers that worked tirelessly alongside P. to see this translation come to fruition. But as of his death, the project was not yet done. Please pray for our missionary P. and the other Mwinika men as they continue translating, looking to the day when the Mwinika Bible translation is complete. Over Spring Break, a team of 21 parents and Jr. High students flew to Pignon, Haiti to serve with RBC-supported national pastor, Francois Romelus (featured here in a previous From the Field). While adults from RBC had visited before, it was the first trip that included students, and it was amazing to see the way the Lord used them. Pastor Francois runs an orphanage of 50+ children, and it was such a blessing to see the ways that our students could play and interact with them, despite the language barrier. Our students were really able to open up the children there and practically show the love of Christ. 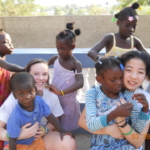 On top of playing games of soccer, teaching them to skateboard, braiding hair, and hanging out, we also had several special opportunities with them. We set up Easter Egg hunt with them and talked with them about the resurrection of Christ. We treated them to s’mores cooked over an open fire, after which everyone licked clean their sticky fingers. We had English classes as they taught us some Creole. And we took the oldest ~20 students to a beach a few hours away. 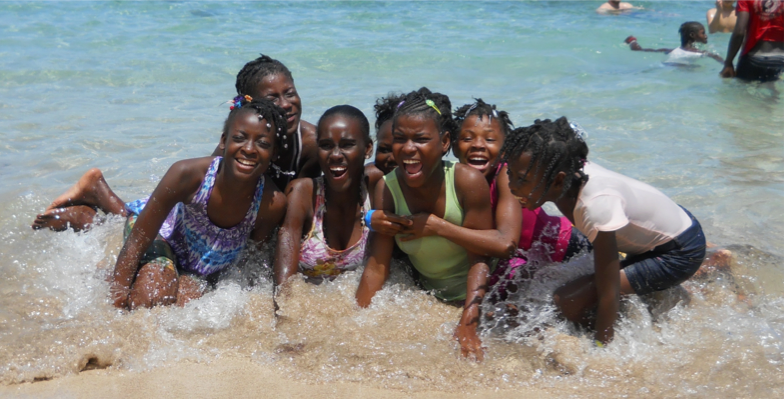 Most of them had never been to the ocean and didn’t know how to swim. It was a treat for them, and a blessing to have fun with them. We also had the blessing of helping the local church run a VBS-style children’s program. While it was a bit chaotic at times with almost 400 children who couldn’t speak English, it was an amazing blessing to serve the community. Our theme for the week was “Mwen Se Trésor Bondye” or “I am a Treasure of God’s”. We had a great opportunity to play and do crafts with the children and act out Bible stories, as the national pastors taught God’s Word. 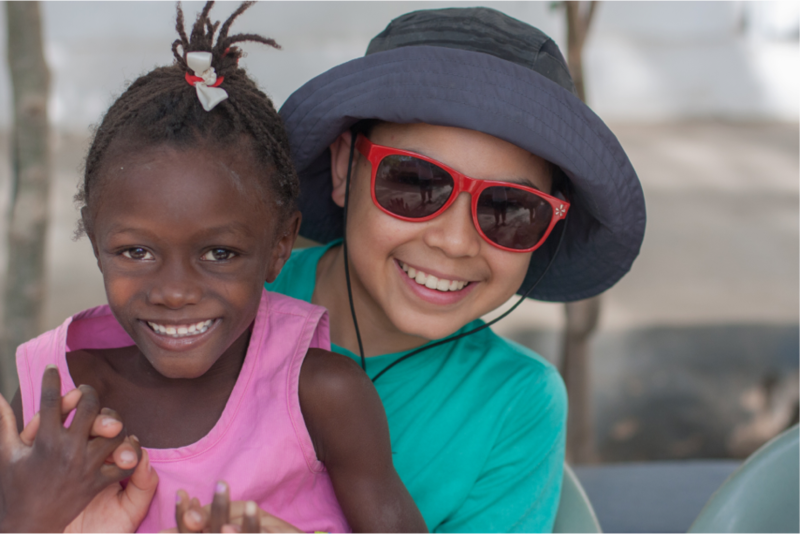 At the end of each day, each the church provided a meal of rice, beans, and a little chicken for the children, and it was humbling to see how so little meant so much to them. Please pray for the children to understand that they are God’s Treasure. Finally, we were blessed with many opportunities to connect with and encourage the local church. Eric Smith, the chairman of RBC’s elders, taught a marriage class. We were able to hear the testimonies of and pray for all of the national pastors and elders of the church in Pignon. Please continue to pray for them as they face many hardships and persecution to lead the church. Thank you to the many who prayed for this team. We definitely saw the answers to many of your prayers. Please continue to pray for Pastor Francois’ children and their futures, as there are very few career opportunities for them. **Thanks to all who attended the team review on Wednesday, 4/29 in the Jr. High Room. Please continue to pray for Pastor Francois and the ministry there. A team of 21 parents and Jr. High students are going to work with their ministry over Spring Break (March 26-April 3). 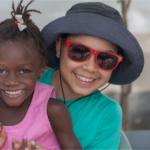 The team will be running a VBS style camp for several hundred neighborhood children, trying to show God’s love for the orphans, and caring for the local church. God is doing much through the ministry there, and we want to be an encouragement to them. The church in Pignon, that their faith in and dependence on the Lord would continue to deepen in the midst of many challenging circumstances. Pastor Francois and his wife Madou, that they would be encouraged in the Lord. The RBC team, that we would be a blessing and encouragement to the church in Pignon. Specifically, that we would be able to communicate to the children how much God treasures and values them. 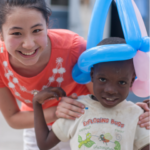 Many people have asked about ways to help care for the orphans in Haiti. You can check out an Amazon.com wish list for them by clicking here. There you will find items that will be a blessing to them. You can purchase them off Amazon.com or elsewhere, and drop them off at Aaron Osborne’s office at RBC by Wednesday, March 18th, and we will deliver them. 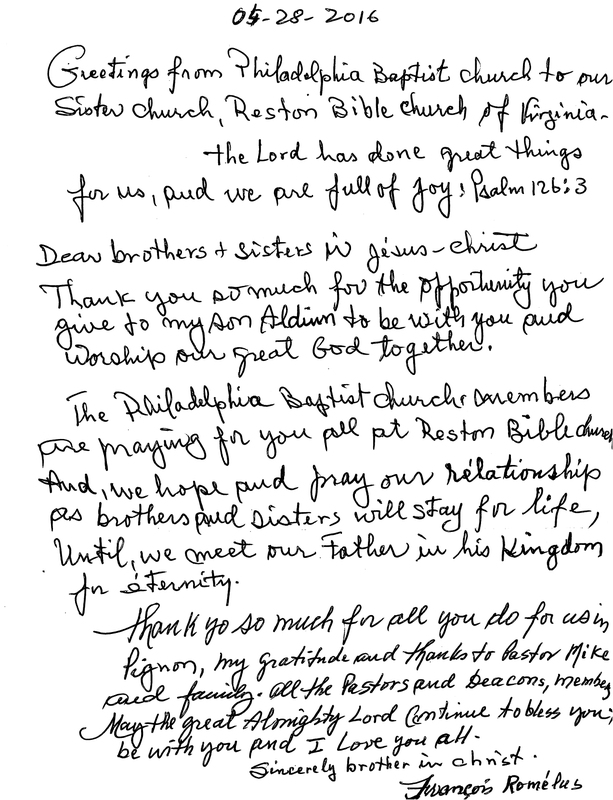 If you have any questions, please contact aaronosborne@restonbible.org. The update below is from Paul & Faith, RBC-supported missionaries serving with New Tribes Missions. Paul serves at NTM’s Training Center and helps oversee their U.S.-based ministries. One of his primary responsibilities is developing a leadership team to cast a vision for mobilizing believers for the task of tribal evangelism and church planting. A “new” happening in Bolivia brings an urgent prayer request! On Tuesday, January 27th through Thursday the 29th a group of around 30 Ayoré church leaders and their wives will be meeting together in Bolivia. They come from 10 Ayoré communities where Ayoré Churches exist. Paul’s brother and his wife will be meeting at the Missionary Training Center of Etnos, where they live and minister, for an Ayoré Leaders Conference of Spiritual Refreshment and Teaching. The facilities are available because the students are gone for “summer break” these days. Please pray for them as they will be doing the teaching for the 15 hours of meetings and deeply feel the need for Spirit-breathed inspiration, sensitivity and discernment for both the meeting time together and the hours fellowshipping together those three days. Please pray as well for good weather as it is rainy season and for open receptive hearts for all God has for all of us. bout 72 years ago, five young missionary men gave their lives in the effort of contacting this very primitive, nomadic indigenous people group — NOW, here they are — all these years later gathering together in the name of Christ! Was it worth it all? We LOVED the ten years God allowed us to invest in this work together with YOU who prayed for and supported this work. Our prayer is that YOUR hearts will be as encouraged as our hearts are as we pray for the continuing work of the Holy Spirit in these precious lives. God is at work! Check out this really neat video (below) – It’s an interview with some of our current students here at the Missionary Training Center. You are now investing in the training of these young people who will be scattering around the world to spread the gospel! Thank you so VERY much for your financial support and for your faithful, faithful prayers for us! We are so very humbled by God’s amazing grace and faithfulness in our lives! We pray God’s ABUNDANT grace and blessings for you in this “new” year and that you will enjoy sweet fellowship with Him! RBC-supported missionary Brian Shortmeier, who works with New Tribes Mission, shared the video below with our church at our 2014 Missions Conference. Dimapatai is one of many primitive Moi tribal people in Papua, who came to know Christ as his savior through NTM missionaries. In this video, Dimapatai shares his unscripted thoughts on Jesus. Please take a moment now to pray for the ongoing work of tribal evangelism and church planting in Papua New Guinea and across the unreached people groups of the world. We have been in Ireland now for 5 weeks and God has been very gracious to us as we get settled in. We arrived during a difficult rental housing marked with little property available and it disappearing fast. In spite of that, within the first week God provided us with a beautiful modern 2 bedroom furnished apartment with lots of windows and light in an excellent neighborhood. God has also helped us get our utilities and broadband set up, find a reliable used car, obtain car insurance, open a bank account, get our Irish version of social security numbers, and begin the process of getting permission to remain in the country. We are living in the suburbs of Cork in southeastern Ireland. We are currently working with Douglas Baptist Church outside of Cork. Douglas Baptist is one of 14 churches in Cork and Kerry counties that have joined together in coordinating activities and in working together to plant new churches in areas with no evangelic church. There are two new church plants in the works. These churches have one joint service each year; we attended that service at the end of September. It is exciting to see how God has grown His church in southern Ireland as the 500+ people came together for worship and teaching. We have been able to get heavily involved in ministry here also. There are several Bible studies each week that we participate in along with special ladies’ and men’s meetings we have attended. These activities have been very important in helping us meet people, build relationships, and gain trust for future ministry. Steve was asked to teach a lot sooner than expected and just finished teaching 3 Bible studies and preaching the Sunday sermon in the last week. Gaining permission from immigration to remain in the country. church – lots of cultural issues come up. Learning the culture – new vocabulary, word pronunciation, and behaviors. Please be in prayer for Steve & Julia as they begin their new life & ministry in Ireland. Pray for grace and opportunity as they seek to know Christ and make Him known in Ireland.